The San Diego District Hockey League (SDDHL) was founded to get more kids playing hockey and to create a strong, sustainable community. To these ends, we believe it is important to keep kids from the same neighborhoods and schools together. This organizational structure gives kids a greater opportunity to invite their friends to play and to see their teammates outside of the rink. It also creates an opportunity for parents to work together to advocate for their team in the local community. Below is the basic information about how districts and teams are formed. The SDDHL does not draw district boundary lines. 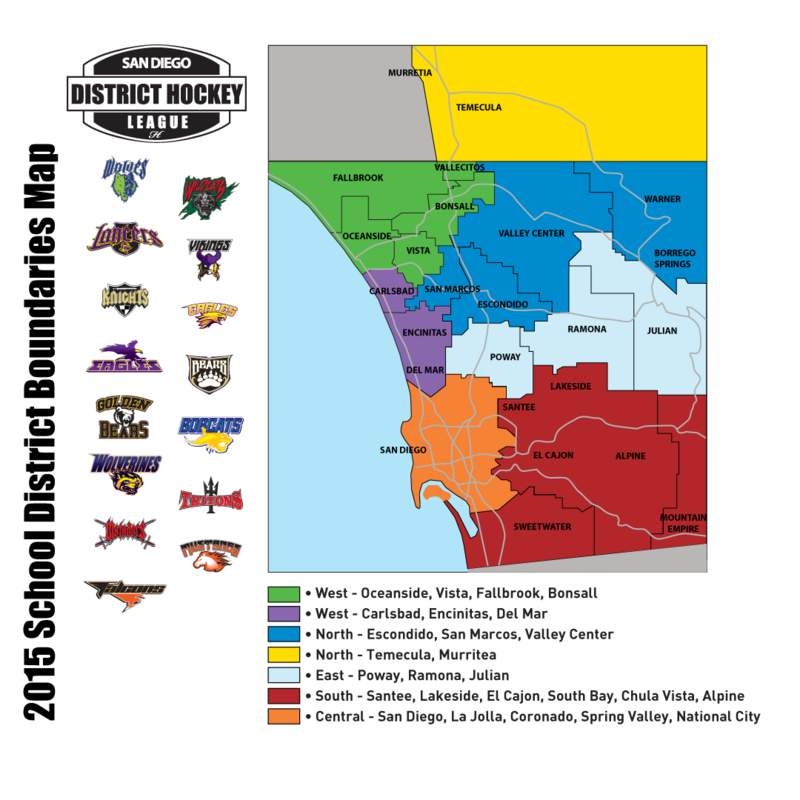 Instead, the league takes existing school districts and groups them into five larger regions, called “districts” in the SDDHL: North, South, East, West, Central. Kids can play for the team representing the district where they live or where they attend school. Whenever possible, we try to form teams that are comprised of kids attending the same school. These teams then take on the name of their school (e.g. a Roosevelt HS team or a Bear Valley Middle School team). If there are not enough kids from the same school playing in the league, then we form a team based on the local school district (e.g. an Oceanside team or an Oceanside/Vista team). If necessary, we will group many school districts together and form a team out of an entire district (e.g. a West team or a Central team).